Some useful mel procs for adding primvars can be found in RfM: Customizing. This tutorial provides an example of how the faces of one or more polymesh surfaces can be colored using a primvar and a single instance of PxrSurface. 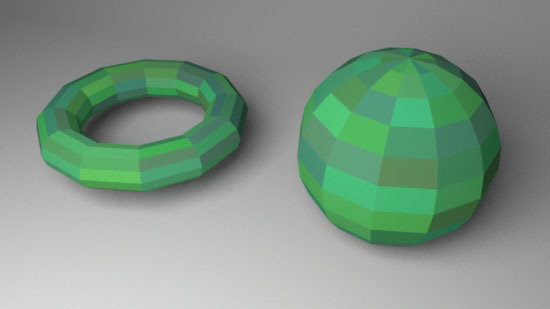 1 Assign an instance of PxrSurface to one or more polymesh objects. 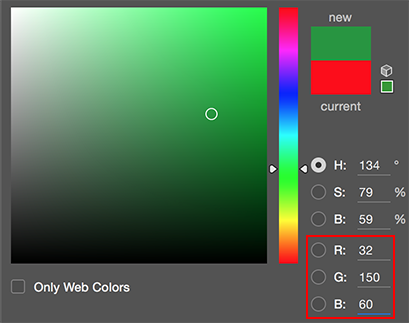 2 Click the connection icon of the "Diffuse Color". 3 From the list of RIS patterns connect PxrPrimvar. 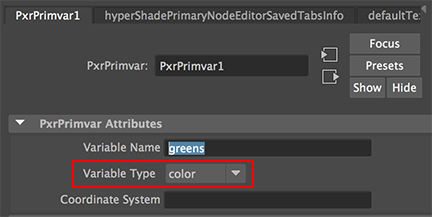 4 Enter a name of the primvar, say, greens and change "Variable Type" to color. 1 Copy and paste the MEL proc, shown in listing 1, into Maya's script window. Execute the script in order to load it into memory. // Assigns a color to each face of a mesh. // 1  Select the objects. Alternatively, copy and paste the code of the MEL proc into a script named addFaceColorPrimVar.mel and save the file into your maya/scripts directory. If the reader has previously followed in the instructions in the tutorial "RfM: Customizing" the proc should automatically be available for use without it first being sourced. 2 Select the surfaces to which PxrSurface was previously assigned. 3 Finally, render the scene. The start and end colors that are randomized by the Mel proc ie. 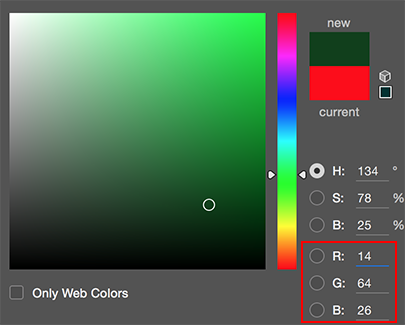 were derived from the RGB values of a PhotoShop color picker.